Helen undertook her medical training at Queen's University Belfast, graduating in 1998 and then spent 5 years training in Emergency Medicine and Critical Care in Northern Ireland. 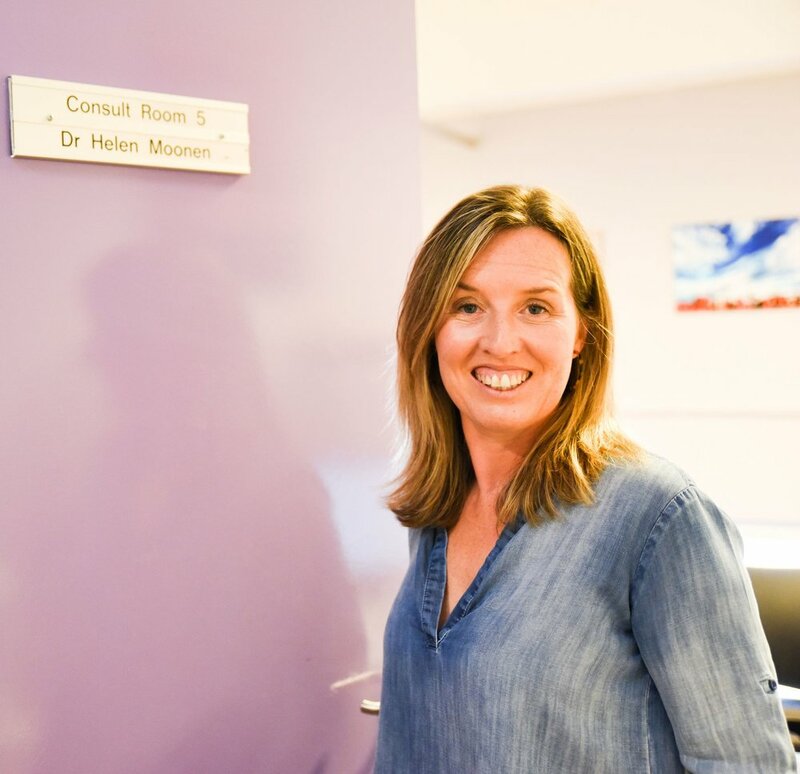 Since moving to Fremantle in 2003, Helen worked as an Emergency registrar in Fremantle Hospital and more recently, Rehabilitation Medicine at Shenton Park Rehabilitation Hospital (now The State Rehab Unit at Fiona Stanley Hospital), before changing her career path to General Practice. "I thoroughly enjoy getting to know people and the community they live in, this was a big factor in my decision to move to GP." Helen joined the Ellen Health team in January 2014. Shenton Park Rehabilitation Hospital where Helen coordinated the rehabilitation of head and spinal cord injured patients. Fremantle Hospital specialising in Emergency Medicine. After graduating Helen trained for a few years in Belfast in emergency and critical care. Ongoing Rehabilitation needs including Head Injuries, Spinal Cord Injuries and Amputations. Helen has a young family and enjoys spending weekends with them at the beach especially being part of the Little Nippers at Fremantle Surf Lifesaving Club at Leighton Beach on a Sunday morning or by the river. Helen loves to cook and entertain as well as walking her dog by the river to relax!